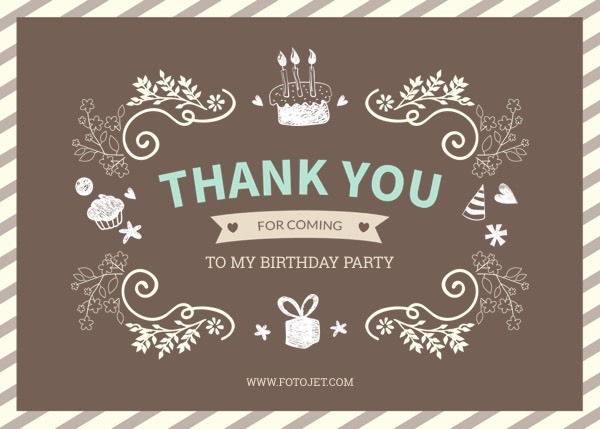 Want to let your families and friends know how thankful you are for their presence at your birthday party? This thank you card template can help you a lot. It's specially designed for people who are not professional at graphic design to make personalised birthday thank you cards. Add your own message to express the gratitude and customize it to make it yours. You can also play around with the font styles and replace the background image with the well-designed pictures or your own photos.